FYI: It takes about an hour just to drive into the State Park. It’s a unpaved dirt road. Nearest gas is in the town of Presidio, TX. What to do: Off-roading/ 4-wheel driving, stargazing, mountain biking. Not much hiking. Over Thanksgiving, we decided to pair our trip to Davis Mountains State Park with a trip down to Big Bend Ranch State Park. 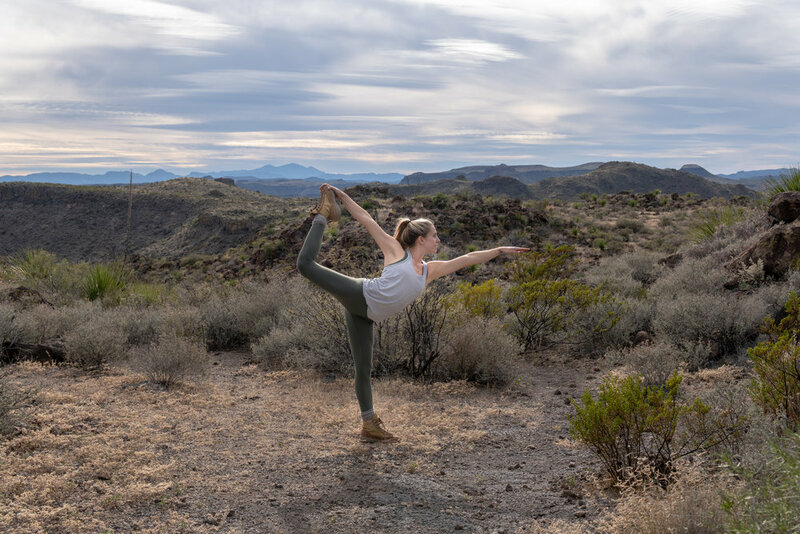 This was our first time to Big Bend Ranch State Park, and we weren’t sure what to expect! It’s definitely different than the national park in many ways. We learned that the state park is so big, you could fit every state park in Texas inside the park boundaries with room to spare… insane. Something important to note, is that the nearest town and place to get gas is in Presidio, which is about an hour and a half outside the park. The park is great for off roading adventures, but be prepared with water, food, and gas. They also recommend you take those adventures with two cars in case something happens. Navigating the state park is different than anything else we’ve experienced before. To pick your campsite, you can take a look at this online brochure of all the sites available. Once you’re inside the park, you can do self check in when you get into park boundaries (which is super convenient if your site is near the front of the park), or you can drive into the ranger’s station, about an hour in. We stayed at the South Leyva campground, which is the only area with multiple sites and the only area with a compost toilet. If you pick any other campground, you’ll have to bring or buy a compost toilet system. We did a lot of driving around the state park, and there are some amazing sites. They are completely isolated, quiet, and beautiful. If you have the time (and the gas), do some exploring before settling! Camping at Big Bend Ranch State Park was probably the most peaceful night we’ve ever had camping. It was pretty empty, so we got to spend the night around our fire enjoying the stars (it’s a dark zone) and the peace and quiet. Since it is West Texas, there is a lot of wildlife to be aware of if you bring your dog (or not!). Snakes, spiders, javelinas… all things to look out for. You can’t do any hikes in the state park with your dog. The nearest hike we could do with Rye would have been outside the park about an hour and a half drive. Overall, Big Bend Ranch State Park is beautiful. Chris wants to go back with an off roading vehicle (and without Rye) so we can spend more time roaming around.